When you join The Local Realty, you gain access to an extraordinary program that helps you differentiate yourself from your competitors – all while providing your customers the very best service the industry offers. A core foundation of what The Local Realty™ was built on, our Real Estate technology is always on the cutting edge and rapidly improving. 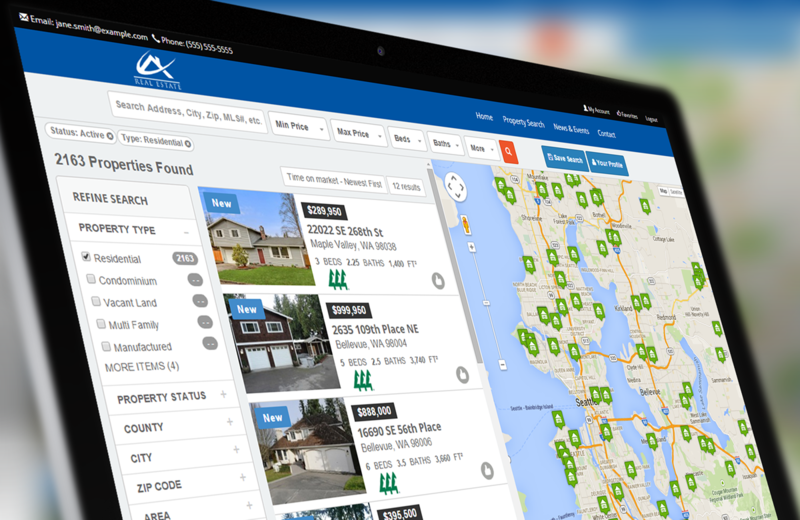 Every Associate that joins The Local Realty gains access to a Free Agent Website along with a turn-key solution to implement an IDX property search, CRM and Indexable SEO Optimized Property Search in order to increase your online lead productivity. From lead capture pages, lead routing, appointment scheduling, newsletter system and a full-time lead management team, we help our Associates convert an email to a closing. Hosted & Single Websites – If you’re currently paying to host a website, or you want to setup your own website network, we can power all of your sites for a fraction of the cost! Along with your Free Agent Website, The Local Realty also offers Agents the ability to setup listing and community sites to advertise their properties or market to a niche audience. Every Associate that joins The Local Realty gains access to a Free Agent Website, along with a turn-key solution to implement an IDX property search, Mobile App, CRM and Indexable SEO Optimized Property Search, in order to increase your online lead productivity. 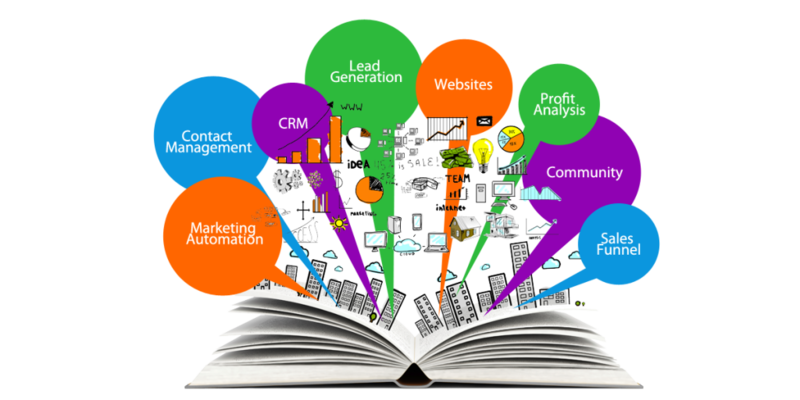 From lead capture pages, lead routing, appointment scheduling, newsletter system and a full-time lead management team, we help our Associates convert an email to a closing. 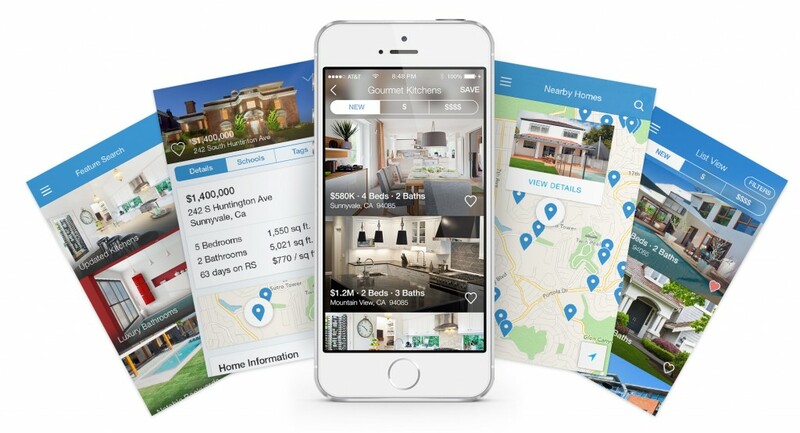 When you signup with The Local Realty you will be provided with a Free Agent Website comprised of a company powered IDX property search, Indexable SEO Optimized Property Search, Online Appointment Scheduling System, Lead Capture Pages and More. The Local Realty offers Associates the ability to setup an unlimited number of websites and domains on our servers, allowing you to build single property websites for your listings or real estate/community sites for marketing to a niche audience. When you add-on The Local Realty’s IDX search system, you will receive a personalized website/splash page and free custom mobile app! 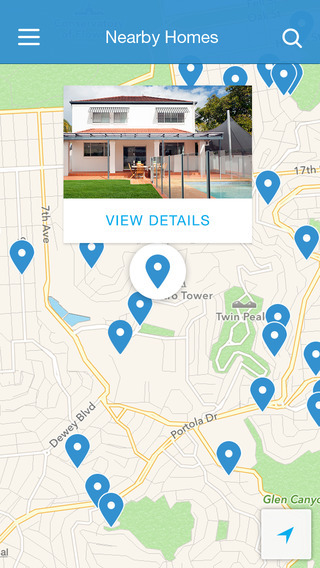 This cutting edge technology automatically sends your clients property listing updates that are personalized to the specific features your client is looking for! Have a client that wants a home with “Natural Light, an Open Floor Plan, Large Backyard” or other parameters? No Problem! Just specify the features your client is looking for on their search portal and the auto notifications will write a customized message highlighting the properties which have the features your client is looking for! A dynamic and powereful real estate search tool, our property SEO system is the most comprehensive search on the market. 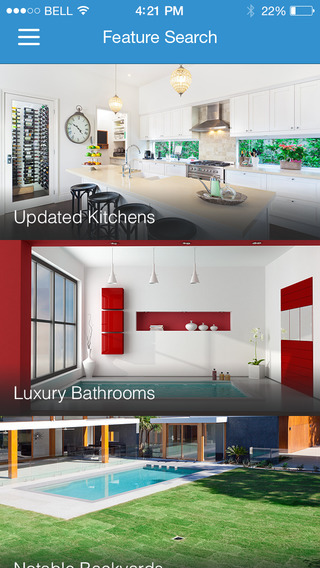 Everything from School area search to master bedroom floor level, we got you covered. 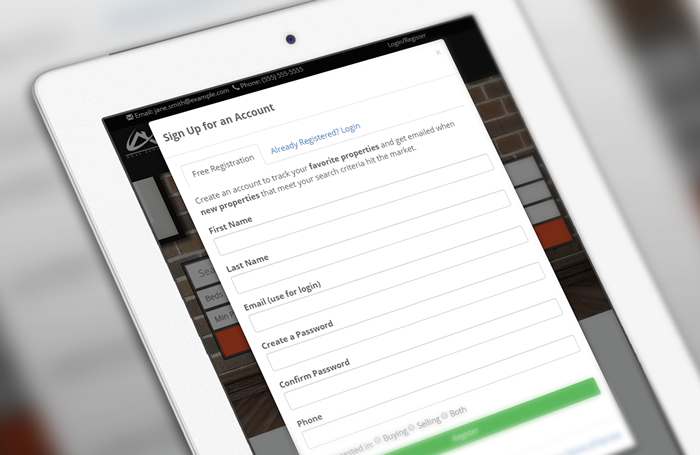 Book, manage and track showing or meeting appointments online directly through your agent website. 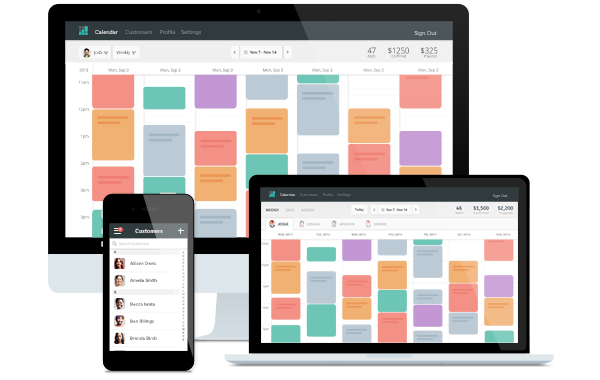 Our cloud-based appointment app lets you keep control over appointments and directly links with your google calendar. Turn your visitors into clients. Engage them with great search, bold calls to action and prompt them to register to view more of your great website and content. It is all configurable for what you feel is best for your market. 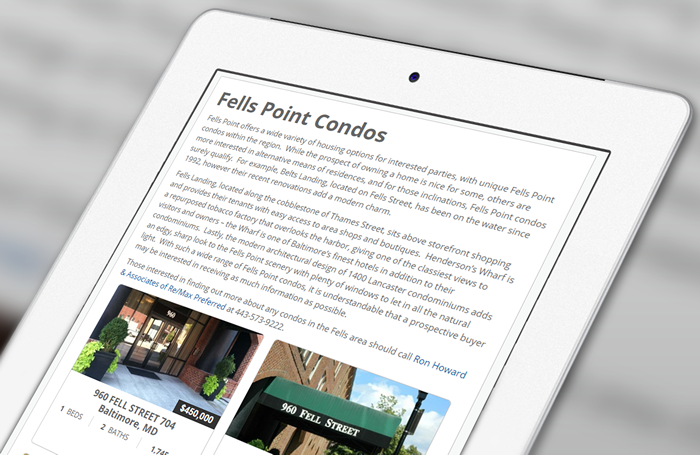 Turn your Agent Website into a neighborhood resource. 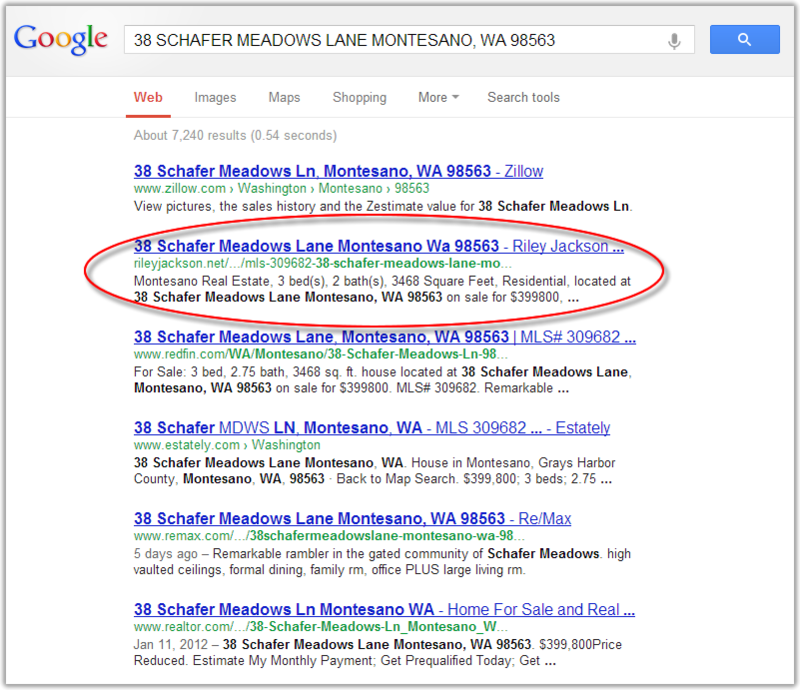 Create as many neighborhood/community pages as you like and embed MLS listings directly on these pages. 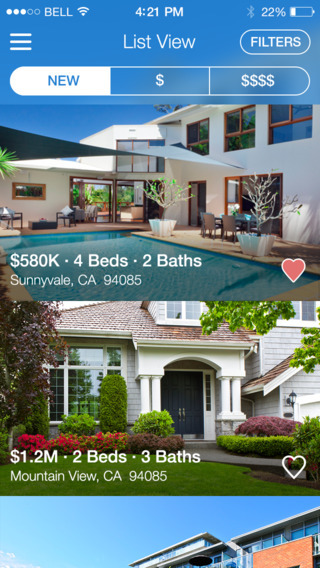 Listings are automatically kept up to date. All property pages generated from our SEO Property Search IDX are search engine optimized and can be indexed by search engines. This means the IDX will automatically create thousands of pages of content all linking to your website. Your Agent and Broker websites would not be complete without exceptional add-on and custom built designs and systems. We offer a suite of website services to help you build a powerful system for your unique brand and clientele. 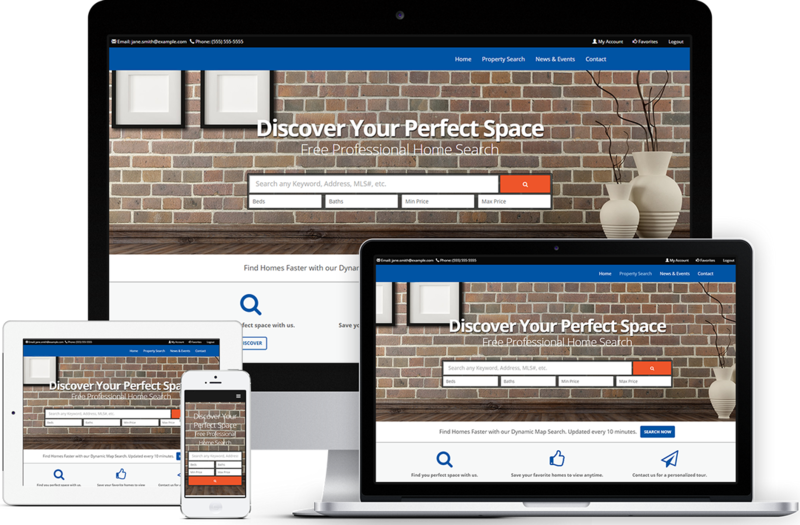 Custom Themes and Site Development – If you’re looking for a customized solution for your business, The Local Realty’s tech support team can build a custom website system for you at a fraction of the cost. Our average customized sites range from $750-$2,500 one time compared to the average of $3,500-$10,000 for most custom website systems). Domain Hosting Service – If you’re currently paying to host a website, or you want to setup your own website network, we can power all of your sites for a fraction of the cost! Along with your Free Agent Website, The Local Realty also offers Agents the ability to transfer their real estate domains to our servers. Internet leads for Real Estate take an average of 18-24 months from the time a prospect inquires about a property, until the time they actually buy or sell. As a Real Estate Agency, we understand the amount of time, dedication and money it takes to actually close business and maximize your return on invested time and capital. That’s why we developed an International Real Estate Referral Service which helps real estate agents screen and convert their real estate leads. LocalRealtors.com Network Referrals – We power one of the largest real estate networks in the world with over 3,000 referral partners. Everyday thousands of buyers, sellers and agents seek out a real estate agent to assist them. By becoming an Approved Referral Partner with Local, REALTORS, you can start receiving pre-screened leads directly through our online network. Lead Conversion Assistance – Our licensed client relations team members can assist you in staying in contact with your current database and will assist you with the conversion of your prospects. 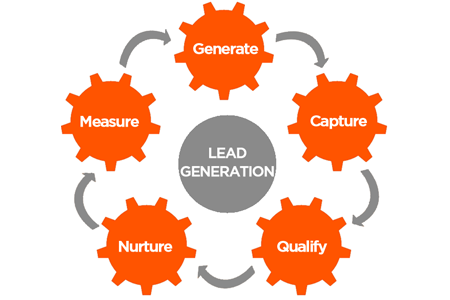 Our Lead Conversion Plan includes a dedicated account manager who will be in charge of calling, pre-qualifying and referring back hot leads to your team or preferred referral partners. Why Become a Preferred Partner? The Local, Realtors® Real Estate Referral Network is a tremendous opportunity for Real Estate Agents, teams and brokerages to start receiving perspective buyer and seller prospects! Our Referral program allows you to focus on the parts of being a REALTOR® that you do best (selling real estate), while we take care of all the communication and marketing required to find and convert your next client. In order for you to effectively communicate with your clients, you will be given a personalized real estate website with a Contact Management & Email Campaign system, allowing you to efficiently work with your clients. Our proprietary conversion systems give you the ability to send email campaigns, create and send auto generated follow up responses, and even utilize our live support staff of experienced client relations managers. Online is where you need to be – if, that is, you want to reach today’s increasingly web- and technology-savvy home buyers and sellers. That’s why, at The Local Realty, we have created and are continually improving a family of award-winning websites. Collectively, they have one common goal: to make it easy and enjoyable for buyers and sellers to find our real estate listings, local offices and expert agents. 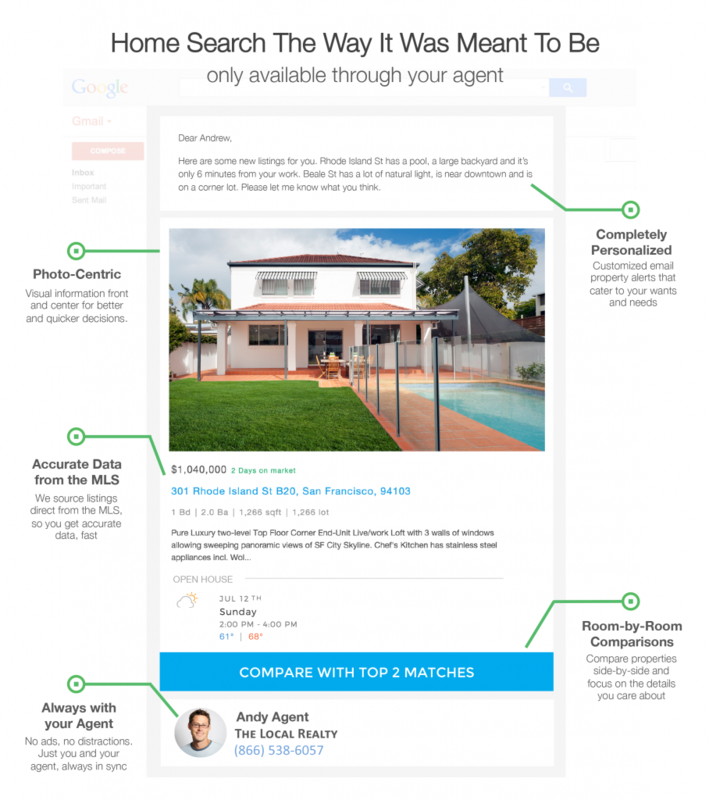 The Local Realty powers 400+ local and nationwide real estate search and website engines across the the world. With millions of page views each year throughout our own networks and our thousands of potential clients each month through our strategic relationships with industry partners, we have the tools you need to can capture the right targeted audience. Our Broker sites offer an enormous benefit to our Associates, but it’s just part of a robust platform we offer. Our Broker websites are designed with the consumer first and foremost, but behind the scenes it interfaces with powerful systems for Lead Routing, Lead Incubation and Robust Reporting. This platform is provided to all Team Leaders/Brokers. 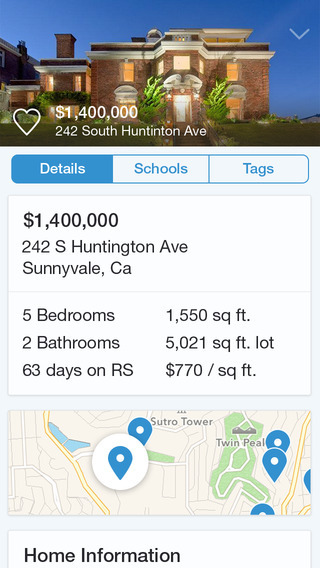 Saving agents time and money: That’s the goal of The Local Realty’s innovative agent sites. They provide nearly all the same benefits that the Broker Sites offer to Home Buyers and Sellers, while giving each agent a credible and flexible online presence for personal promotion. At the same time, Agents can take full advantage of our Brokerage Intranet for collaboration, education, file sharing and more. All of our Agent and Broker sites display all area MLS listings, detailed local community and market information, and content created at both the Broker and Brand level. Sites attract traffic through a number of sources, including SEO, Broker promotion and The Local Realty marketing efforts. The goal, of course, is to provide home buyers and sellers with a compelling experience that encourages regular consumer use and lead generation for Brokers and their agents. Leads generated on Broker sites are handled directly by the Broker using the platform’s Lead routing rules, which the Brokers themselves control.